I’m very excited AND honored to announce that I am a business blogger for Darice! Darice is a premier wholesale distributor and manufacturer who proudly serves a variety of industries. With 45,000+ products in independent retail stores, grocery stores, hardware stores and more. They serve retailers, non-profits, educational professionals, makers and more. My sister and I opened a wholesale account for our store, The Salvaged Boutique, two years ago. We order a lot of supplies for our creative DIY workshops, production supplies for projects, items for window displays, and on occasion, we’ll buy some home decor items to resell in our store. Darice is local too. They’re located in Strongsville, Ohio so we have the benefit of picking up orders instead of paying for shipping – but they do ship! This opportunity excites me because not only are we Darice customers and can vouch for their excellent customer service but now I get to continue my mission of educating shop owners all while representing a company I’m very familiar with. What does it mean to be Darice’s Business Blogger? It’s a little different than the creative posts you’ll currently find on their blog, but so many of their readers are small business owners! So, Darice felt adding business-related articles would be a good mix. 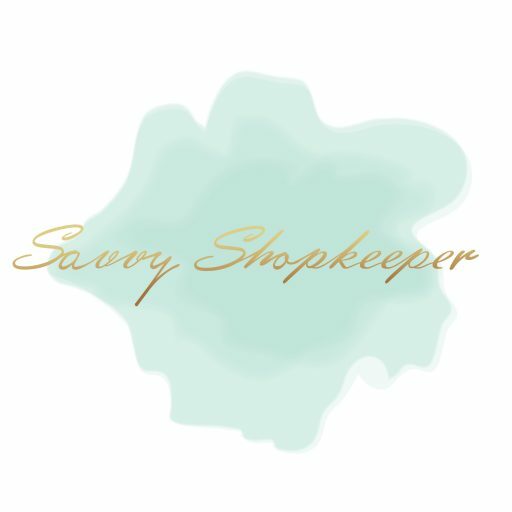 I’ll be writing articles for both brick and mortar retailers and makers with online shops on topics ranging from finances, time management, marketing and more. Darice’s blog is titled Live Craft Love. Be sure to check it out, I think you’ll love it! But first, click here to check out my first official post on Darice’s blog! P.S. If you’d don’t already have an account with Darice, or you’re interested in learning more about them, I’ll be sharing more information and a special deal soon!